Dr. Marianne DiCerbo from Albany Braces presents a donation to Genet Principal Ana Yeomans and students for MakerSpace supplies. Genet Elementary School’s new MakerSpace received a boost in funding on Tuesday which will help purchase building materials such as Lego systems and simple machines. The $400 donation came from the East Greenbush branch of Albany Braces thanks to a Halloween candy buyback program. 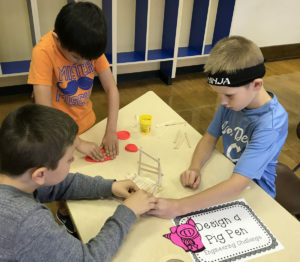 Students in Mrs. Rudzinski’s class design a pig pen in the Genet MakerSpace. 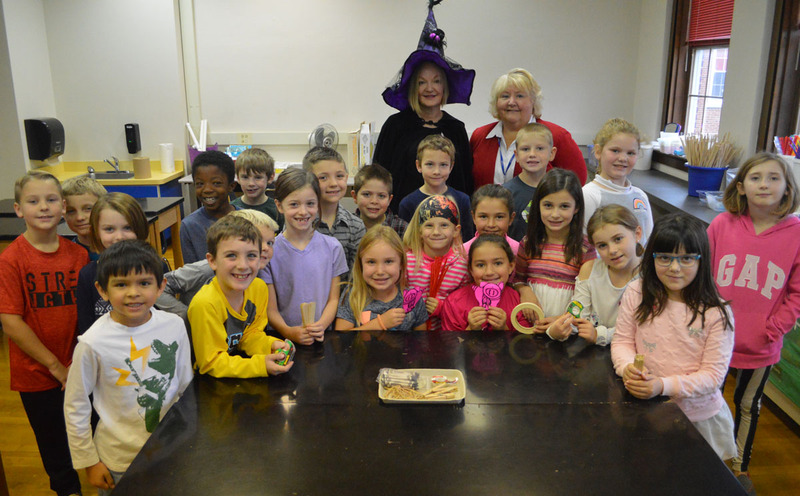 Marianne DiCerbo, DDS, presented Principal Ana Yeomans with the donation as they toured the MakerSpaces.